A meeska mouska Mickey’s boy’s pirate theme birthday party? That’s right! 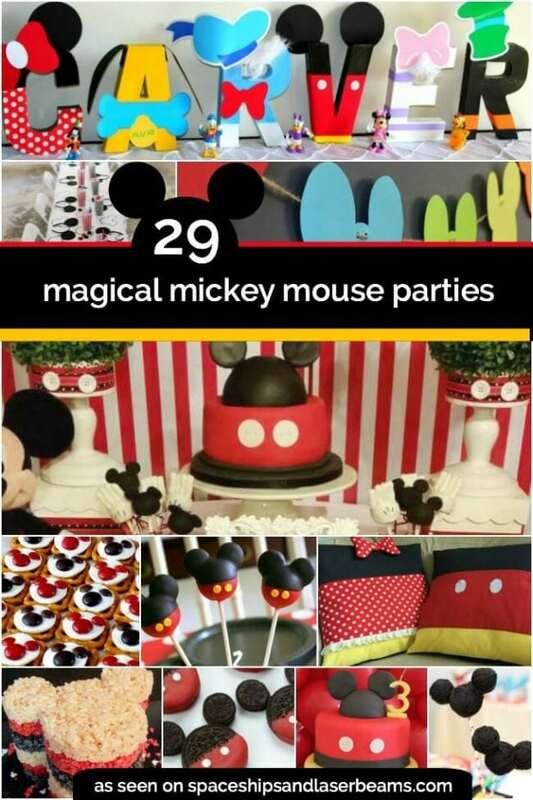 Zoila Lopez, of Squared Party Printables, knew her son wanted a Mickey Mouse party for his fourth birthday, but she wanted to put a unique spin on it. 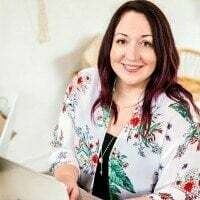 Her son is also a fan of Jake and the Never Land Pirates, so when she found a pirate Mickey Mouse at the Disney Store, she recognized she had the perfect party theme. Zoila went to work planning invitations, party decorations and desert table details and came up with this adorable Pirate Mickey celebration. Get inspired with A Boy’s Mickey Mouse Musketeer Birthday Party. This Nautical Mickey Mouse Boy Birthday Party would be a delightful theme. Zoila designed all the printables for the party with an old-world Pirates of the Caribbean feel. The antique lettering and “aged” paper in the Happy Birthday banner and food labels really add to an antiquated ambience. Touches of burlap and red pirate seals contribute color and texture to the décor and party invitations. Wisely using a lot of items she already had on hand (including curtains and fishing net), Zoila created the feeling of a pirate hideaway. She found treasure map fabric online for the tablecloth. To tie the decorations together, she arranged gold and pearl necklaces and used wood boxes and crates to display treats. A skull and a black bottle of rum add just the right touch of danger and forbidden excitement. The birthday boy requested cupcakes for his party, so Zoila chose nautical blue-and-white stripes for the cupcake wrappers. Half the cupcakes had gilded dark chocolate doubloons on top and half had fondant Mickey Mouse ears’ — with a gold earring! The detail in the fondant toppers is simply stunning; they look too good to eat. Party guests were surely delighted by the pirate treats filling a treasure chest: ring pops, chocolate coins, gold gumballs, chocolate pearls, truffles and more. The highlight of the treat table was custom-made gold doubloon lollipops, which tasted like marshmallows and look like they came straight out of the Pirates of the Caribbean movie. Every pirate likes a bit of bling, and so this little pirate had a blinged-out birthday candle for his cupcake. I love the sparkles and the touch of red that make the number 4 stand out. Party guests were delighted by a visit from the Notorious Captain Jack. He led the crew in fun and games, keeping everyone entertained during the party, and even took time to pose with each of the guests (and their moms). At the end of the party, each child had a bag of pirate loot to take home as well as a pirate bandana, sword, compass and an imagination full of swashbuckling adventure.